Jun. 16, 2018 10:00 a.m. 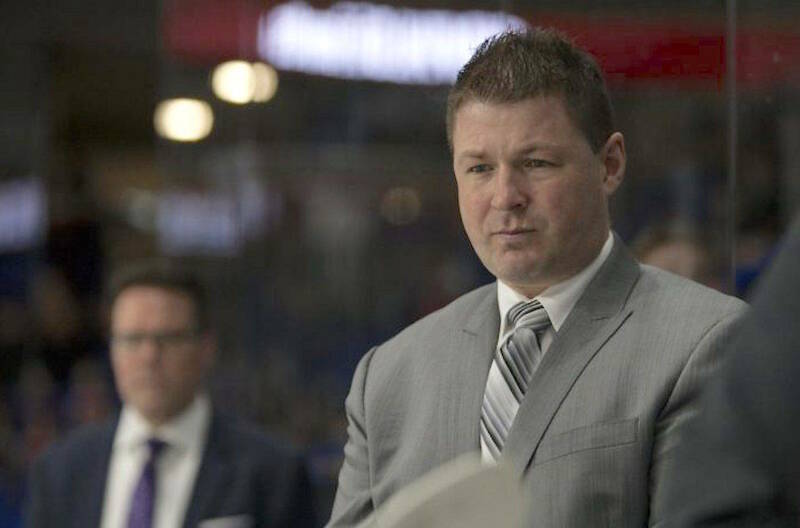 The Langley-based Vancouver Giants have parted ways with head coach Jason McKee. “We would like to thank Jason for his commitment to the Vancouver Giants organization over the past two seasons and we wish him the best in his future endeavors,” Giants General Manager Barclay Parneta said in a brief statement posted on the Giants website. “The search for a new head coach begins immediately,” the statement said. The change comes three weeks after Parneta was named the new Giants general manager, the third in the history of the franchise. Over the course of two seasons, the 39-year-old McKee led the Giants to an overall record of 56-73-9-6. The team did significantly better this past season, going 36-27-6-3 for 81 points. McKee was named the seventh head coach in franchise history in 2016. Prior to that, that he was the head coach and general manager of the Spruce Grove Saints of the Alberta Junior Hockey League. During his tenure, the Saints played in the AJHL Final on five occasions, winning the league championship three times. A two-time AJHL Coach of the Year, McKee was named the Canadian Junior A Coach of the Year for the 2013/14 season. As a player, McKee spent one season in the WHL with the Seattle Thunderbirds where he scored 23 goals and 39 assists in 69 games. After his junior career, he went on to play 50 games in the ECHL, suiting up for the Richmond Renegades, Baton Rouge Kingfish and Birmingham Bulls.